This time of year sees a spike in rental scams, housing and tenant advocacy charity Threshold has said. A HOUSING AND tenant advocacy charity has launched an awareness campaign to help would-be tenants avoid falling victim to a rental scam. 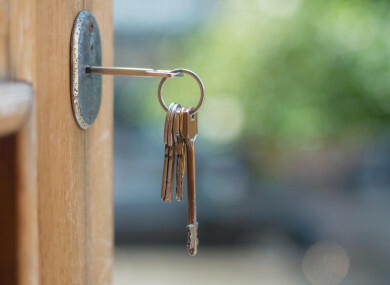 Threshold – which advocates for tenants in the private rental sector – said would-be tenants should exercise “particular caution” while searching for rental accommodation. The campaign was launched in conjunction with the Union of Students in Ireland (USI) and Daft.ie. Be aware of offers that appear too good to be true – if rent seems like a bargain, do more research by checking rental rates for similar properties in the area, using Google Maps to verify that the property exists, and checking the Register of Landlords on the Residential Tenancies Board website. Never agree to rent a property without having properly viewed it and making sure you are happy with the terms and conditions of the letting. Avoid paying in cash, and always get a proper receipt. Never transfer funds via Western Union, Moneybookers or other Electronic Fund Transfer services to someone claiming to be an agent or landlord of a prospective property without verifying their bona fides. Ensure the keys work and that you have property contact details for the landlord or agent. Chief executive of Threshold, John-Mark McCafferty said that while rental scams occur throughout the year, people looking for rented accommodation at this time of the year should exercise “particular caution” as there is a “spike due to a new generation of third-level students looking for somewhere to live”. “We strongly advise people to be cautious of a landlord who claims to be out of the country and can’t show you the property and requests a deposit,” McCafferty said. Would-be renters should also be mindful that in some instances a scammer could be living at a property and showing a number of people around, getting a deposit from several people and then disappears with the money. In other instances, McCafferty said, the transaction appears normal until the renter finds that the keys don’t work and the ‘landlord’ has disappeared. “People need to establish that the house exists, that it is available for rent, the identity of the landlord/agent and that the person advertising the property is authorised to rent it out,” he added. Speaking to TheJournal.ie last week, DCU Students’ Union Welfare Office Aisling Fagan said she has heard from one student so far this summer who has fallen victim to a rental scam. “He was an international student. He hadn’t met the landlord or seen the room yet, he was still abroad and he paid his deposit through an online transaction and then the landlord just disappeared, stopped replying to his messages, his emails. It was a horrendous situation to happen because there’s nothing he could do about it, obviously, being in another country. McCafferty said that it is “really, really challenging” for international students, as many need to secure accommodation before travelling to Ireland. “There is a particular challenge for people coming from overseas because they can’t necessarily visit the property before they come over. They want things secured and they are particularly at risk at this time,” he said. Threshold is advising students to start looking for accommodation as soon as possible, but not to see pressured to take the first place they see. “Anyone can fall victim to a scam and we ask anyone who finds themselves in this situation to report it to Threshold, as well as to An Garda Síochána. While Threshold cannot help to recover the lost money, alerting us will help to prevent other people from falling victim,” he said. Last year, An Garda Síochána published advise to those searching for accommodation. Email “'Exercise particular caution': Here's how to make sure you don't fall victim to a fake rental scam”. Feedback on “'Exercise particular caution': Here's how to make sure you don't fall victim to a fake rental scam”.